Interested in the history of entertainment? Specifically, theatrical magic history! I love speaking about magic history and have presented lectures for magic groups, history groups and radio and tv. 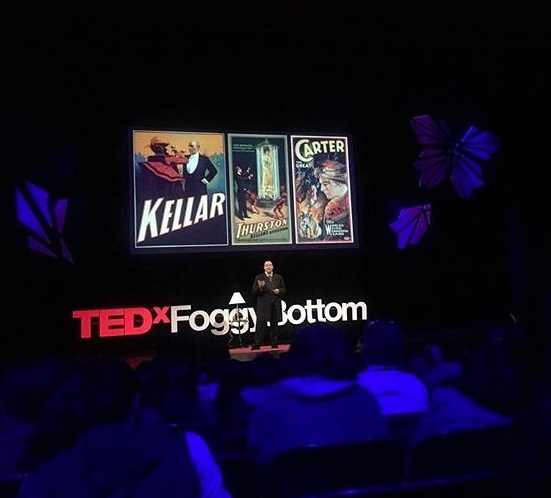 Due to my experience as a performer as well as a speaker, I sometimes will present material (magic) from the acts of the people I talk about. 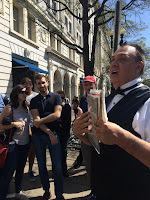 For example, I recently put together a historical show for AtlasObscura.com in Washington DC. They were having an event on ObscuraDay that they called Houdini Takes DC. So I put together a number of Houdini style routines and mixed it with lots of stories and historical content! Just for the record, it was my second year working with that group. The year before I actually put together a 30 minute HOUDINI Show filled with escapes from rope, chains, locks, handcuffs and more! 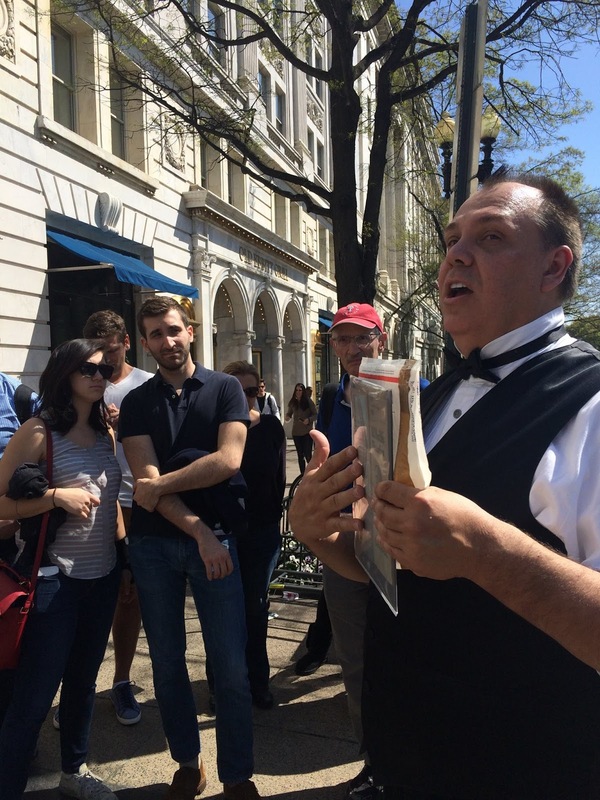 I then took a group on a walking tour of DC to the location of the old Keith's Vaudeville Theatre, where Houdini once hung upside down outside the theatre to escape from a straitjacket! I've been a guest speaker on a number of radio shows talking about magic, magic history and most often HOUDINI! In 2015, I traveled to Leland Michigan to present a lecture on a turn of the century magician named Edward Maro. As it turned out, Maro had once lived in Leland, and the building where the lecture took place was named after him. The program was a huge hit! In 2016, I was asked to speak at The Yankee Gathering, a magic history conference in the New England area. They had heard about my Maro lecture, and asked if I could repeat it there. Because my earlier talk was for an audience of lay people (non magic folk) I revamped the talk for the magic history group to have a lot more historical content. Once again, it was very well received! Not every lecture includes magic tricks, but frankly, most do. 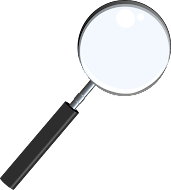 Look over my blog and you'll see I've written about magicians from the 19th Century, magicians from Europe and Russia, magicians during the Civil War and much more. And I continue to add content all the time. Many of these articles would make ideal lectures! I do have a specific lecture on Houdini that you can read about here. Oh, in case you were not aware, I'm quite enthusiastic about Magic History! When it comes to Houdini, I'm even MORE enthusiastic. So I'm confident if you contact me to lecture for your group, you'll be getting a great lecture, filled with fun facts, great stories, maybe a bit of drama, a fair amount of humor and an all around enjoyable time!!! Just remember, if you want to hear about magic history, contact me, The Magic Detective! 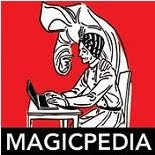 And if you'd like to look over some of my many articles on magic history, just look to the left and you'll see a huge list of articles by subject. Complete the form below to get information about Carnegie's available Magic History Lectures.